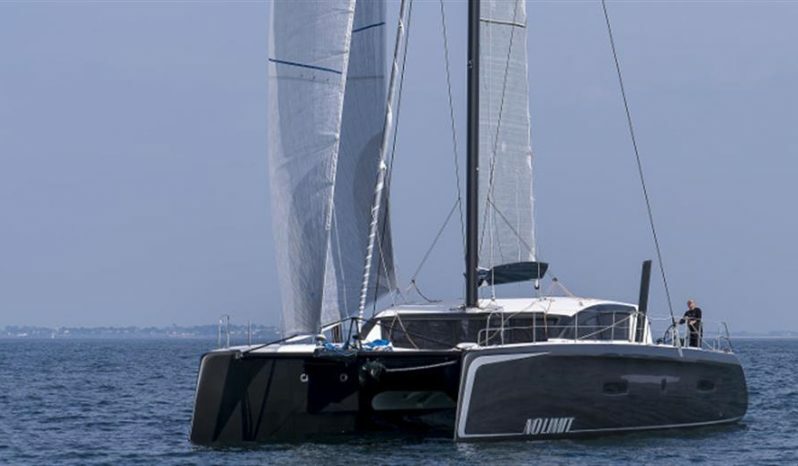 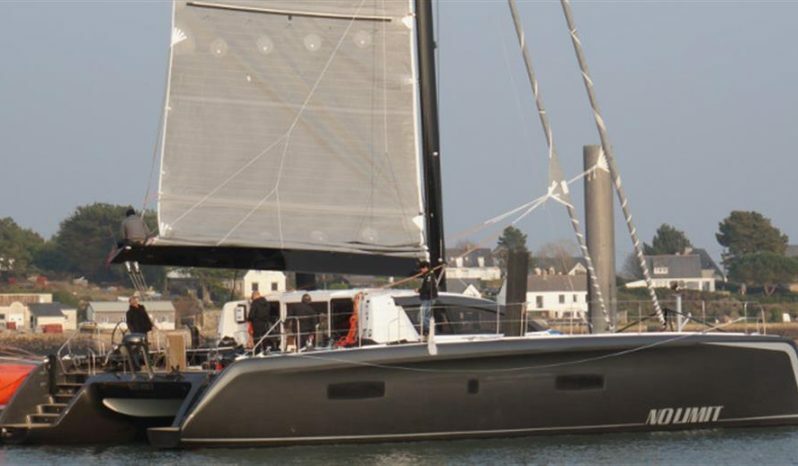 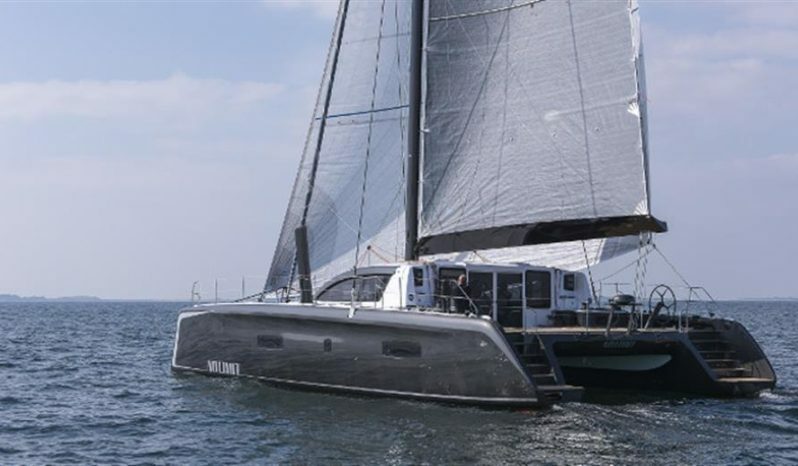 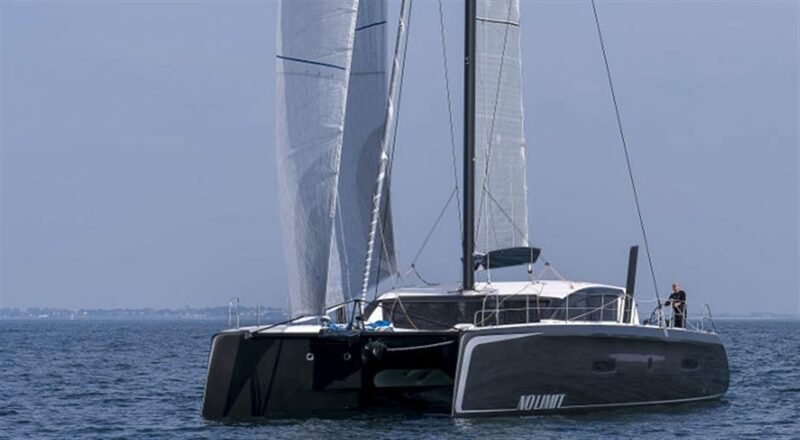 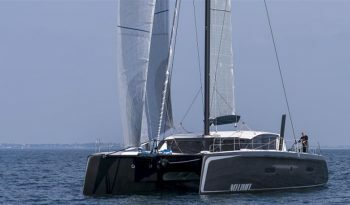 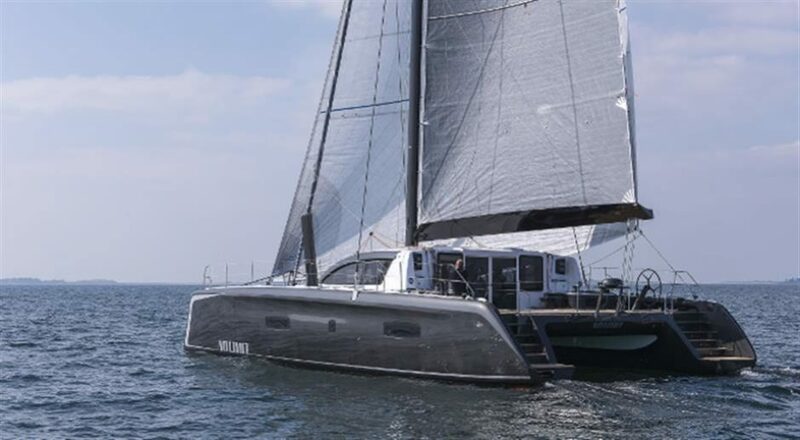 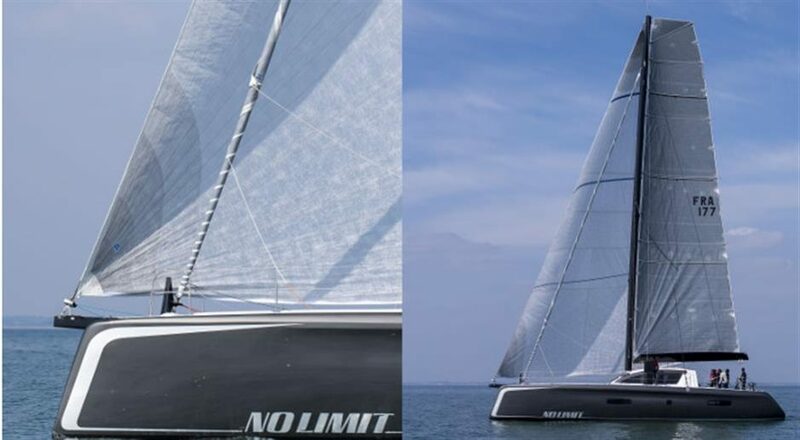 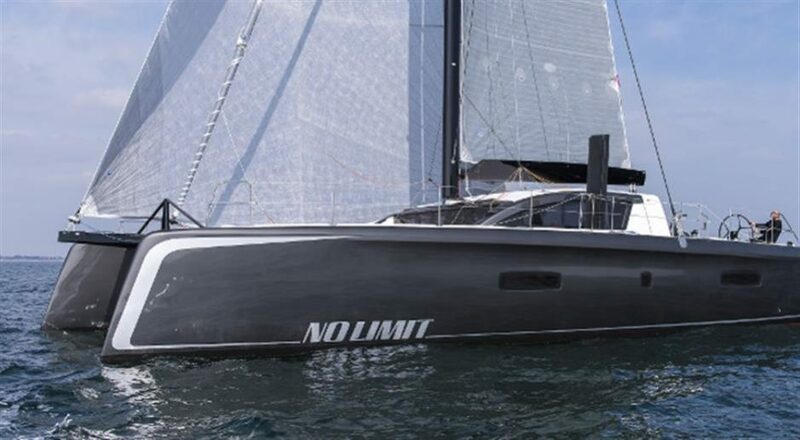 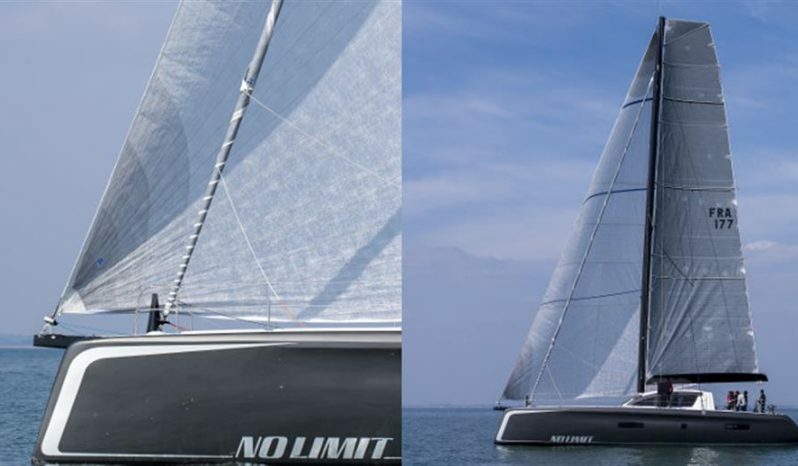 Built by Outremer Yachting, NO LIMIT is a completely new 18m sailing catamaran, launched in 2015. Although her design is that of a racing catamaran, NO LIMIT is also the ideal yacht for a relaxed and comfortable luxury cruise. 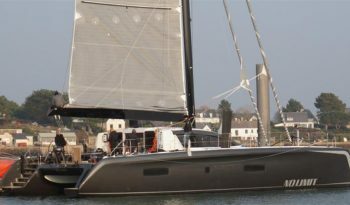 She has the capacity to sail at high speeds, but is a favourite in the charter market due to her uniqueness. 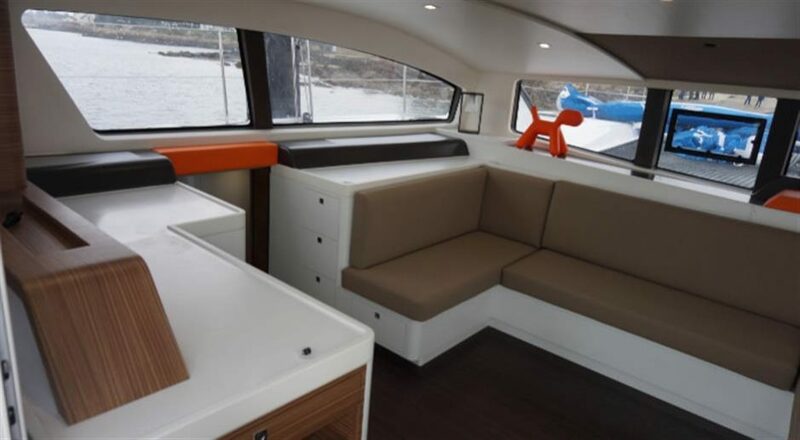 Thanks to the intelligent usage of space and the minimalist layout of the deck and cockpit, guests are able to enjoy spacious living and crusing areas. 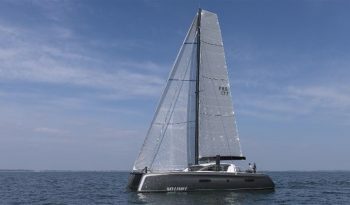 Luxury and leisure remain the foremost of priorities for all guests. 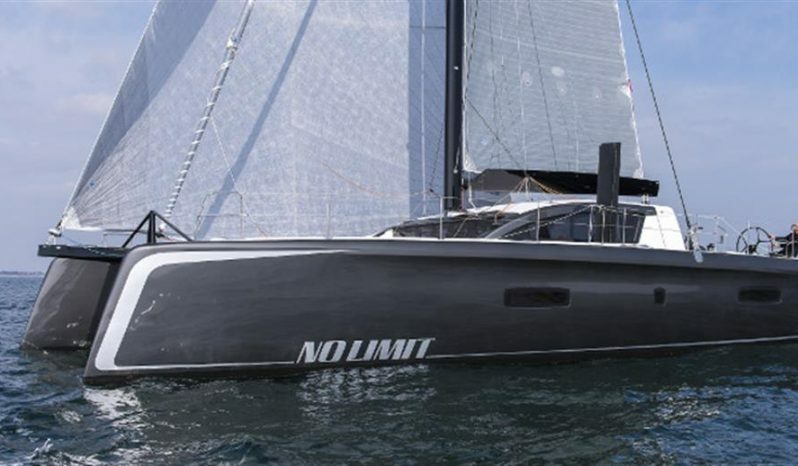 A difficult yacht to find on the charter market. 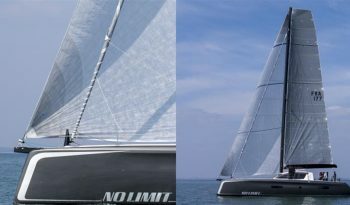 NO LIMIT is also available for racing charters, pricing on request.